The NJIT Business Club is a professional development club that aims to encourage business majors, minors and any students with an interest in business to become more familiar with the business culture. Professionalism will not only help them in their future careers but also during their current on-going studies. We strive to highlight the importance of networking and aim to establish connections between members and future potential employers. The Business Club also works to provide students with the business tools and skills necessary to succeed in the "real world". If you are interested in joining the Business Club, contact the Business Club at businessclubnjit@gmail.com for more information. Student-led and run user group at NJIT's Martin Tuchman School of Management. Our mission is to support students as they learn the skills to get hired into the Salesforce ecosystem. Join our group to ask questions, build your network, and learn about upcoming meetings. The NJIT Investment Club is a student-run association that is committed to educating its members about investing in the stock market and investing for the long term. By managing a real stock portfolio, students will be able to develop critical skills that will prepare them for the real world. Any student is welcome to join the club regardless of their abilities. For those members that are not familiar with investing, every semester the club teaches Investing 101, which is an introduction to the markets and principles of value investing. The IAC brings students together who want to focus on Innovation and the Commercialization of Technology. Each year the club has a focus project and in past years we have all learned how to do app development, conduct lean startup practices, and enhance commercialization of military technology in partnership with Lakehurst Naval Air Station. The club attracts students from throughout NJIT to create business-like teams with technical and business students working together. Both undergraduate and graduate students are welcome to join. View the IAC website, or contact Dr. Michael Ehrlich, a club advisor, for more information. Alpha Kappa Psi was founded on the principles of educating its members and the public to appreciate and demand higher ideals in business and to further the individual welfare of members during college and beyond. It is a unique, prestigious association of students, professors, graduates and professionals with common interests and goals. Alpha Kappa Psi provides valuable educational, friendship and networking opportunities. Beta Gamma Sigma is the international Honor Society for AACSB accredited schools. For membership requirements and meeting information, contact Michael T Sweeney at michael.t.sweeney@njit.edu, the MTSM Undergraduate Advisor. You can also visit the Beta Gamma Sigma website to learn more about the benefits of membership. Our next induction ceremony will be held during the spring semester of 2017. Last year, NJIT inducted over 50 new members into their chapter of Beta Gamma Sigma at the Martin Tuchman School of Management Awards Ceremony. Want to be a Financial Guru? 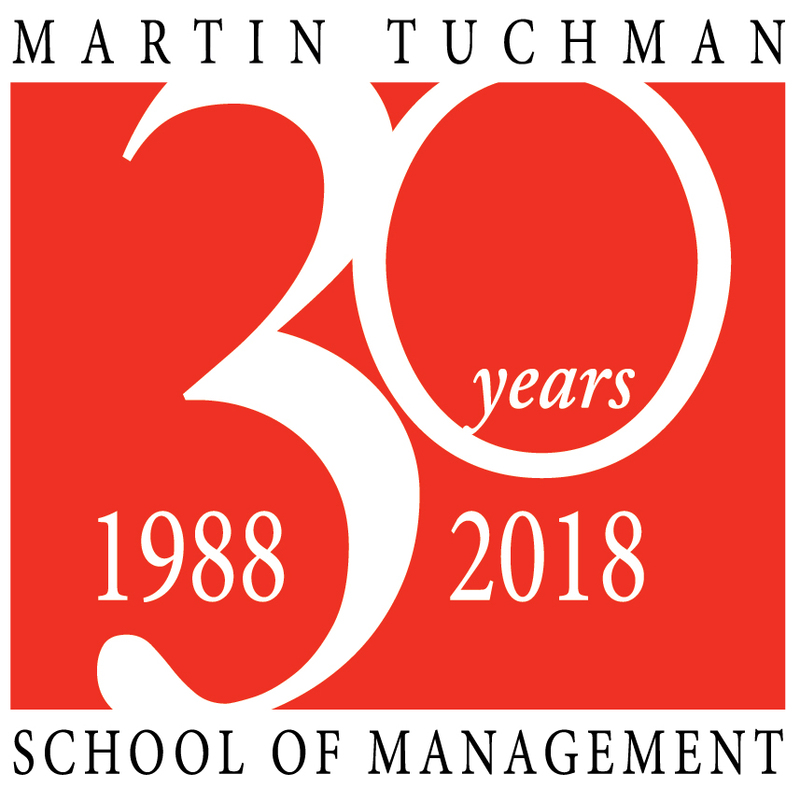 You should join the NYSSA, NJIT Martin Tuchman School of Management Chapter. NYSSA is the New York Society of Security Analysts and our chapter aims to promote networking, outreach, and programming among students of finance and finance-related disciplines. You will be able to enjoy access to a unique and powerful networking platform, free events, value investing archives, and much more. The CFA (Chartered Financial Analyst) Institute sponsors a competition each year where students from around the world are invited to present a professional-quality equity research report to a team of CFA judges. The winners from our region (NYSSA) around NYC go on to compete in the national and international levels. The NJIT team is nominated by the finance and accounting faculty and has has been a local finalist (one of the final four teams) several times. Past team members have gone on to Wall Street careers.